Finally the power to create realistic visualizations and 3D games have been combined. Building on the extensive power of industry standard packages Autodesk® 3ds max® and 3ds max Design®; Convexity gives users the ability to create 3D buildings and game levels faster than was ever previously possible. Convexity Pro is an architectural plug-in for Autodesk's 3ds max®, 3ds max Design® and viz® which allows for the rapid creation of 3D buildings. 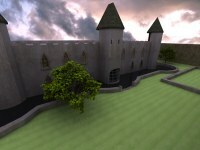 The buildings it creates are not only suitable for visualizations but also for game levels. 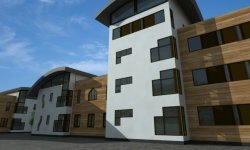 Architectural designers, Level Designers and anyone who wants to create buildings within 3ds max® or viz®. Can Convexity do both Visualizations and Levels? Yes, Convexity is a unique package in that it meets the requirements of two markets. It is capable of creating complex buildings quickly by simply drawing walls and clicking in doors and windows etc., thus appealing to architectural designers, but it creates all of it's objects in convex solid geometry (CSG). This means the objects are suitable for game engines which makes Convexity a powerful tool for Level designers. Architectural designers can now create real-time interactive walkthroughs by exporting their visualizations to a game engine. 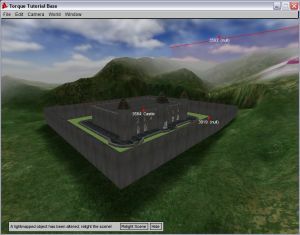 Level designers can create game levels with ease using wall creation tools that are powerful enough to suit architects. Convexity is robust enough to create complex game levels and large commercial buildings; and it does all this in the same user-friendly way. The Wall Side-view Editor adds immense power to Convexity's standard wall tools. Holes and much much more..!! All objects created with Convexity's Wall Side-view editor can be saved to a Library and then clicked into any wall! Example of what can be created just by using the Wall Side-view Editor of Convexity. With Convexity you are not limited by pre-made libraries. Instead you are given the power to create your own custom parameterized objects. This makes it is easy to build your own doors and windows etc. that can open and close etc. 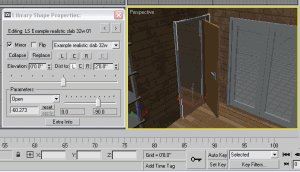 ; basically anything created with the Wall Side-view Editor shown above. Level designers can add entity information to the Library objects, so for example the glass of a window could automatically break when shot in a game. Once your library is formed, (and it can grow), you will be amazed at how quickly you can design buildings and create levels. Efficiency and speed are achieved because each click places an object from your library into the scene. With Convexity's 'Click and Create' process you simply just do that, click and create! Build vast libraries of objects and share them easily using Convexity's advanced file formats. 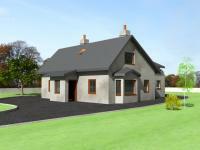 3ds max®, 3ds max Design and viz® come in different versions which do not easily share information, i.e. they are not backwards compatible with their older versions. But Convexity's file formats completely overcome this difficulty; thus opening the possibility of easily sharing scenes or vast libraries of user-made objects. By saving objects to Convexity's prefab format you can quickly place, organize, search for and share objects. For a complete list of what can and cannot be saved to the Convexity's (.cvx) format, click here. Export your creations to other applications easily. Convexity comes with three file exporters. One to the Valve (.map) format, one to the Valve (.vmf) format and one to the 3D Game Studio (A6/A7 .wmp) format. All fully support the exporting of UVW Mapping and entities. But don't think you are limited to just these three! Since Convexity is a plug-in for 3ds max® and viz®; all objects it creates are standard 3ds max® or viz® meshes. Therefore you can use any exporter available to max® or viz® to export your Convexity scenes. 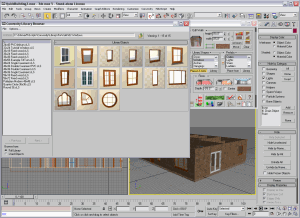 These include: .3ds, .ase, .dwg, .dxf and .fbx etc.. There are a lot of free exporters for 3ds max® available at maxplugins.de, these include exporters to the .x, .w3d, .cgr, .ms3d and .cgf formats. There is also a free Undying .t3d exporter available for the Unreal Engine. With this extensive selection of formats you will be able to easily export your work to nearly all other professional 3D applications. Convexity also runs custom file exporters with ease, so if your company wants to export to an 'in house' file format; it can. Convexity has been improved even further and made more user friendly. Valve .VMF Exporter, Wall Justification, Isolation Box Helper and Isolation Manager. Edit Property dialogs are now selection sensitive. Convexity can now output walls and floors in both 'Convex' and non-convex 'Mesh' mode. The new 'Mesh' mode is faster to output and display in max's viewports but is not as compatible with game engines. It is recommended for people who are just making rendered visualizations and do not want to export to a game. Materials are now automatically stored when applied to walls. Initial Configuration has been made more user friendly with descriptions for the pre-made configurations. Buy Now at the Maple3D eStore. $90 (USD) for non-commercial / academic license. Convexity can do much more than mentioned on this page. To find out what, click on the links below or use the menu bar above. Recommended hardware: Intel® Core 2 Duo 2.0Ghz or later. 2 GB RAM. Nvidia® Quadro™ series or Ati® FireGL™ series graphics card with 256MB RAM at a resolution of 1280x960 or higher, using Maxtreme or OpenGL® driver.